Port is one of those wines – often made fun of and not well-understood. Many people who drink dry table wine, especially with meals, think Port is a “silly” sweet wine, too foreign, or just something old men drink around a fire with cigars while telling war stories. Hey, great idea – and I have a couple war stories! Truth is, Ports are rich, they can be spicy, and don’t have to be “make-your-fillings-ache” sweet. They are a perfect way to end a meal, or just great for an afternoon treat, with or without cigars (It’s never a good idea to smoke if you really want to taste your wine). And it’s not just an old man’s wine! There are dozens of authentic Ports; that is, produced within the Porto DOC region in northeast Portugal, between Regua and the border with Spain. Ports get their name from the city Oporto, from which Port was historically exported, and across the river from the place where the final selection and blending typically took place. More about that later. 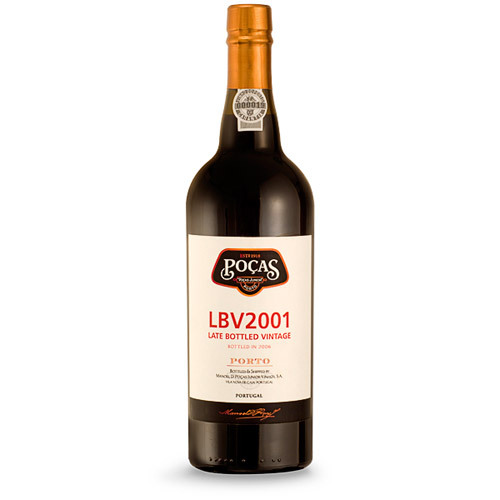 Of course, there are also “domestic American ports,” and here I’m using a lower-case “p” because wine made in the port style anywhere else, even if it uses the four traditional grapes – Tinta Barroca, Tinta Roriz, Touriga Francesa and Touriga Nacional – cannot legally be labeled Port. One big exception is that the USA and the EU made an agreement a few years ago that grandfathers in American wineries that were producing port before 1996. So that’s why you will still see some “American Ports” with a capital P.
One trend is unfortunate: Port and port-style wine sales in the US are down for the second year in a row, off 3% in ’07 and almost as much in ’08. But one potential bright note is that these figures ignore a lot of direct-to-consumer and tasting room sales of domestic ports. Some Port producers still crush and ferment in the very old-fashioned way: people stomping barefoot on grapes in lagares, rectangular troughs made of stone, concrete or wood. Taylor Fladgate, for example, and Warre’s, both among the world’s best (Warre’s claims to be the first, established in 1670) still make some of their best Ports this way. But it a dying art, to be sure for a lot of reasons – economics, efficiency, and according to Warre’s, there just aren’t enough people around who are available and willing. Thanks to Dennis Mitchell for noticing. Anyway, Ports at this stage were traditionally placed in pipes, casks that hold 550 liters or about 145 gallons. They were then transported to storage and blending warehouses at a place called Vila Nova de Gaia, where the producers did the final blending and classifying, resulting in wines of about 20% alcohol. Not all, but many still do this. 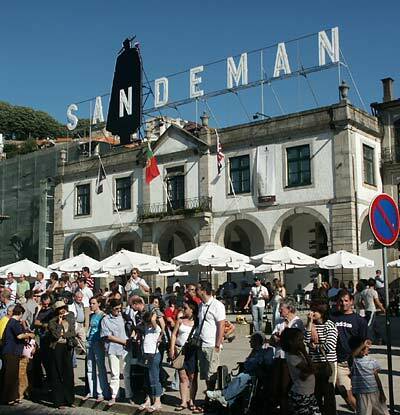 Of course, port-style wine producers outside Portugal do things differently. Few use traditional Port grapes, many preferring instead to traditional noble grapes such as Zinfandel, Petit Verdot, Cabernet Sauvignon and Cab Franc. One winery, Virginia’s Veritas Vineyard, uses Tannat grapes, native to France’s Madiran region, which are remarkably tannic and produce a dense, chewy wine that sometimes must bottle age for a decade before it’s even drinkable. Others use hardy local varieties such as Chambourcin, Norton and Frontenac, that are rarely used by themselves as varietals. Others do grow traditional Port grapes, such as Sonoma’s Pedroncelli. previous post: Wine Not Take A Class?